Tooth extraction is the removal of a tooth from its socket in the bone. A tooth that is severely damaged or infected may need to be removed. Before removing a tooth, a dentist will give you a local anesthetic to numb the area affected area. Once the area is numb, your dentist will remove the tooth. Sometimes a few stitches may be needed to help the gums heal. You can gently bite down on a cotton gauze placed over the area to help stop the bleeding. You may also receive antibiotics to fight infection. 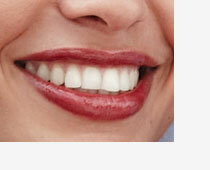 The removed tooth can be replaced with an implant, a denture, or a bridge.